Short trip: we’ll hold your spot for the next 6 hrs. 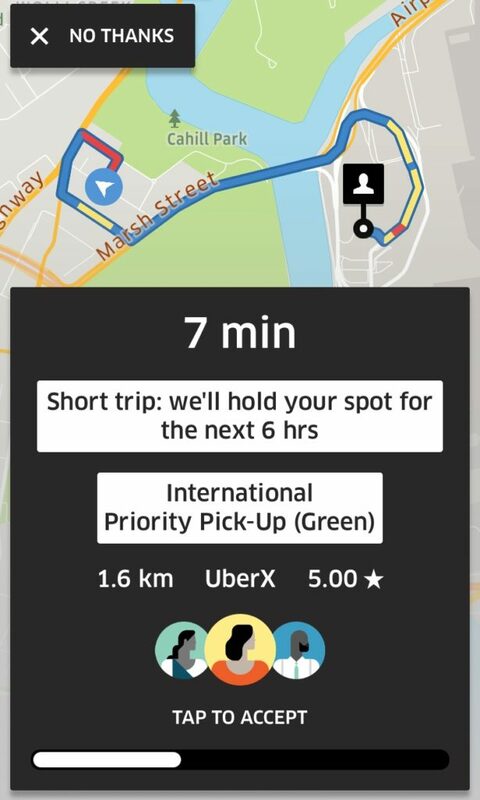 这个我找到了Uber的官方解释：Airport short trip protection distance radius is subject to change. 另外，在Uber的官方说明里面，还有一点需要注意：* To be eligible for short trip protection, you must be waiting in an airport queue for at least 15 minutes.